My next-door neighbor occasionally flags me down to check out the Ride of the Week. He recently mentioned that he prefers cars that are a bit offbeat, a sentiment I can certainly appreciate. He and I aren’t the only ones. Bruce Weiner, owner of the now-closed-to-the-public Microcar Museum in Madison, Georgia, reportedly turned to weird little cars after becoming bored with million-dollar Ferraris and the like. I may not have the luxury of turning my nose up at the world’s most desirable cars, but I can differentiate from the mainstream by choosing a car that looks uncommon or even quirky. 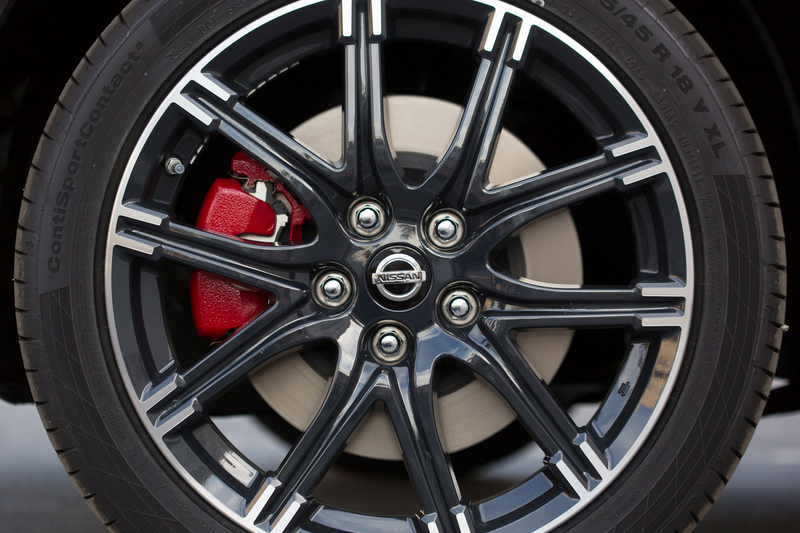 The 2015 Nissan Juke NISMO RS brings that oddball appeal. 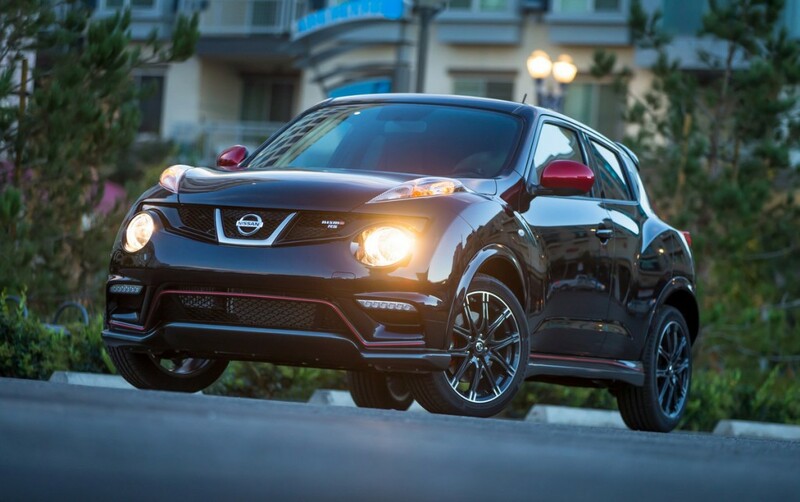 Every Juke has the unique look that’s unlike any other new car on the road. The NISMO RS version adds to that a 215-pony punch and styling mods to match. It’s relatively affordable, too. The test car comes in under 30 grand and includes many of the features today’s new-car buyers want: touch-screen navigation, premium sound, proximity key with push-button start and Nissan’s excellent Around View monitor, which uses four cameras to provide a top-down view of the car for low-speed maneuvering. Then there are the NISMO upgrades: superbly supportive Recaro seats, Alcantara interior trim and unique body kit. Mechanically, the Juke NISMO RS gets a significant horsepower boost to its turbocharged four-cylinder, performance-tuned suspension, a limited-slip diff and 18-inch wheels. The test car came equipped with a 6-speed manual transmission, my gearbox of choice in both the base Juke and the NISMO RS version. This car is not just odd to look at. 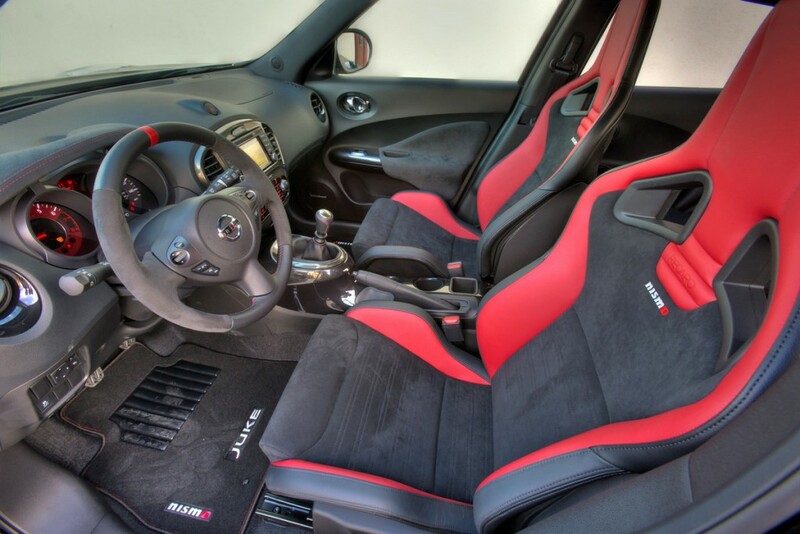 Unlike, the base Juke, it’s odd to drive, too, because the Juke’s upright seating position is not typical for a performance car like the NISMO RS version. The chair-like position is comfortable, though, and provides excellent sightlines. Perhaps because the performance is unexpected, the Juke NISMO RS is a joy to drive fast. It’s reminiscent of a few other small-but-powerful cars like the John Cooper Works Mini and the Fiat 500 Abarth. It’s better than either, though, more powerful than the Fiat and less quirky than the Mini. The Juke NISMO RS’s field of competitors is much deeper than those couple of smaller cars, though, and really includes hatchbacks like the Volkswagen GTI and Ford Focus ST. Each has its strengths, and all are fun to drive. The list is narrower for those of us who prefer something offbeat. My aforementioned neighbor drives a Hyundai Veloster, which has two doors on one side and only one on the other. For his next car, he should definitely check out the Juke.